Our warm weather was nice while it lasted! It’s now gone back to our normal cooler temperatures, and I thought this outfit was perfect for this in between type weather. 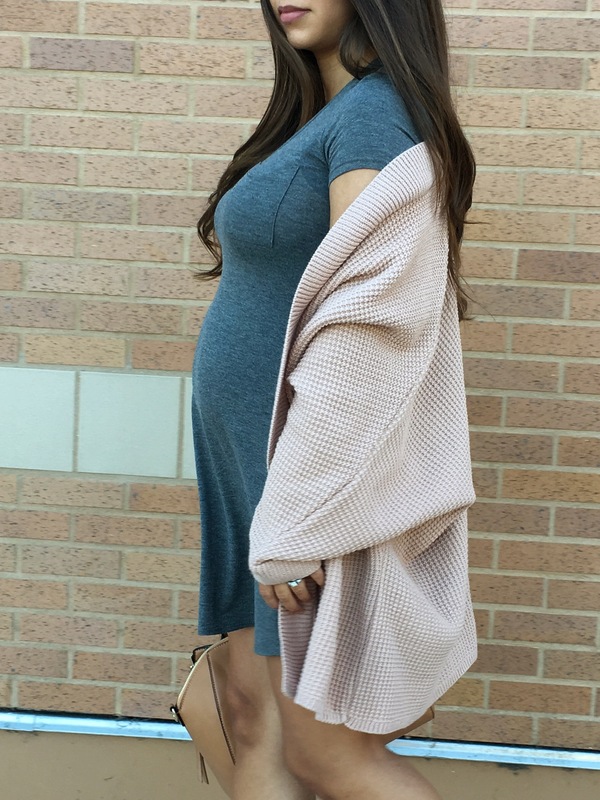 I love a t-shirt dress and the stretchy material is also perfect for my growing bump. These wedges were the shoe of summer, but I think they are so perfect for fall too!